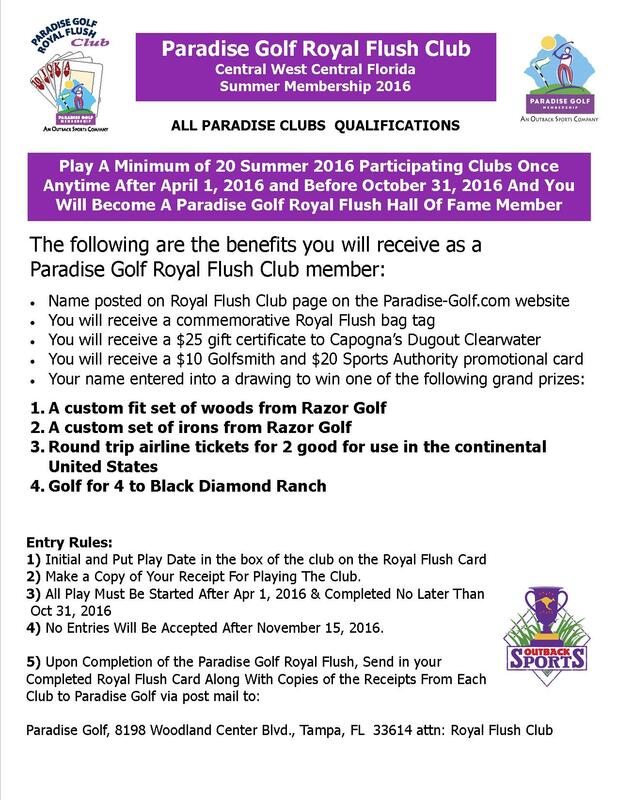 Listed below are the details regarding the 2016 version of the Royal Flush Club for Paradise Summer Card members. CLICK HERE to download your Royal Flush card for round tracking. The prizes once again are awesome for the lucky ones who complete the 2016 Royal Flush!